Nathan B. Hoffman, Attorney At Law. Hoffman Law Firm was created as a firm that would be practical, business-minded, and open to change--in short, a firm that would look like your business. To stay on track as we build the firm, we listen. In talks with clients over the past years, we've taken notice of their concerns. And we've moved swiftly to address them. Through our commitment, experience, and expertise, Hoffman Law Firm vigorously pursues your rights and has established a business relationship with our clients that endures! "Stand by what you say." I aspire to have "total conviction in my clients and their matters and the ability to show it while maintaining a demeanor of balance and credibility." Thank you again for volunteering as a mediator and getting my Jones Trust case SETTLED, all the while juggling a second case that morning. You probably didn’t get a chance to see it, but the step-mom came over to my 4 clients afterwards and everyone hugged and cried. I saw grown men cry – 4 of them all at once! We all did a good thing that day getting that very nice family settled. If only ALL of our cases involve such good people! "informative,well explained, good experience and added to my peace of mind." Headquartered in Los Angeles, this convergence and production venture is helmed by innovative media and music producer Spencer Proffer. M17 is producing and is developing an ambitious slate of projects across music, TV, film, Internet, live event, and other platforms, integrating brand marketing and music as organic components. Additionally, the company is looking to acquire media entities and interests which fit in with Meteor 17 growth strategies. Nate is the smartest, most passionate, focused and highly competent attorney I have ever dealt with in my life on all levels. 10 stars. I had the pleasure of serving as co-counsel with Nathan Hoffman in an intellectual property infringement case for one of my entertainment clients. His work on the case, his strategies, wisdom and professionalism that he displayed during that litigation are only found in a seasoned veteran litigator. The experience makes me comfortable putting my clients in his hands whenever needed. 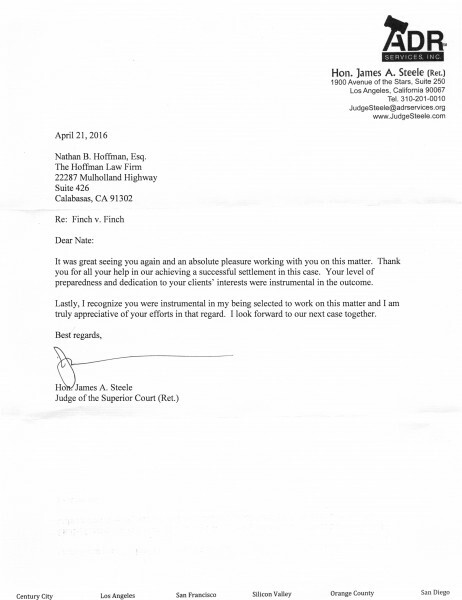 He is my firm's go-to litigation and IP attorney in Southern California, and I also feel comfortable reaching out to him to run any idea by him. I highly recommend this professional attorney. Suzanne DuBarry hired Nathan in 1999, and hired him more than once. 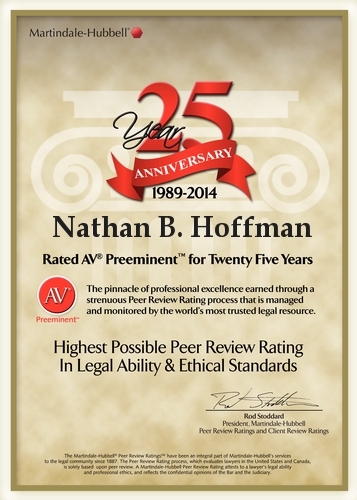 Nate Hoffman is a lawyer the lawyers choose to represent them! I heartily endorse him. Steven M. Meyer, M.D., J.D. Nate Hoffman is brilliant. Suzanne DuBarry Proffer, Owner, EasywayLLC. I have known Nathan B. Hoffman Esq. for over 15 years, and know him to be an excellent attorney, and a man of high principle in all his endeavours.I would have no hesitation in recommending him to any individual or corporation who requires representation. Michael Jackman. President. Pacific Document Services LLC.